A caring commitment to social responsibility and responsiveness. 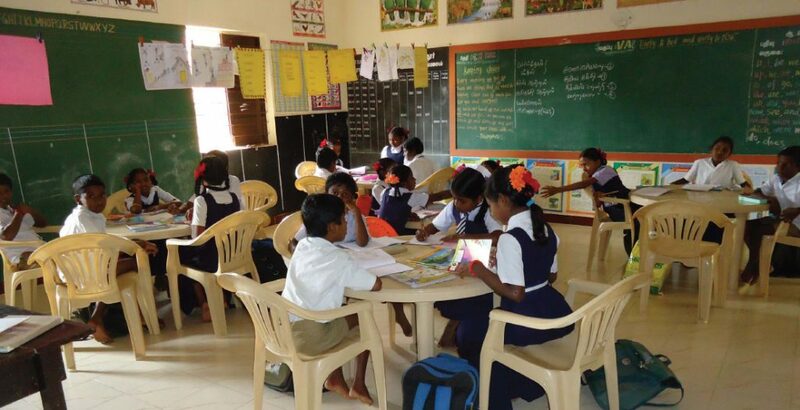 We have been serving for the social cause in whatever way possible through our Trust, Sree Daksha Foundations. Though the list goes on, to mention a few, we have been helping 1600 students, who are from very poor family back ground, of 5 government schools by providing uniforms, belts, shoes etc. year after year. Apart from this, we provide as nourishment to the students by way of offering sandal, biscuits, etc in the morning / evening during school interval times. In addition, we provide support staff for maintenance of schools by paying wages to them. In continuation of our Corporate social responsibility, we have this year gifted Diwali colour dress for all the 1600 students. So that all the students enjoy this 2017 Diwali festival with happiness. 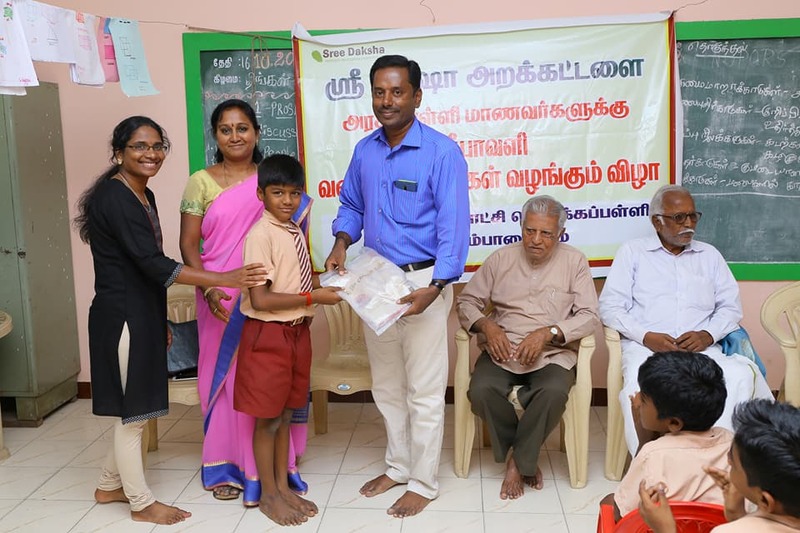 As part of our CSR activities, we have set in motion a wide range of services to provide a better quality of life to the community we belong to.We have set up Green Heart, a social organization of volunteers committed to providing a complete green cover been planted across the city, in association with Tamil Nadu Forest Department. Already, 25000 been planted and cared for and another 10000 saplings would be planted soon. Park development is another program we have initiated in residential areas. Programs to bring about environmental thinking and green practices are also initiated. Another initiative is in association with the Tamil Nadu Police Department, Friends of the Police where people are urged to cooperate and work with the police in areas where positive change can be brought about specifically in law enforcement, traffic control etc. As education can bring about positive change, we have adopted five Government schools and provide support in terms of infrastructure and other services to ensure that the students in these schools are given an even playing field to cope with the demands of the times. 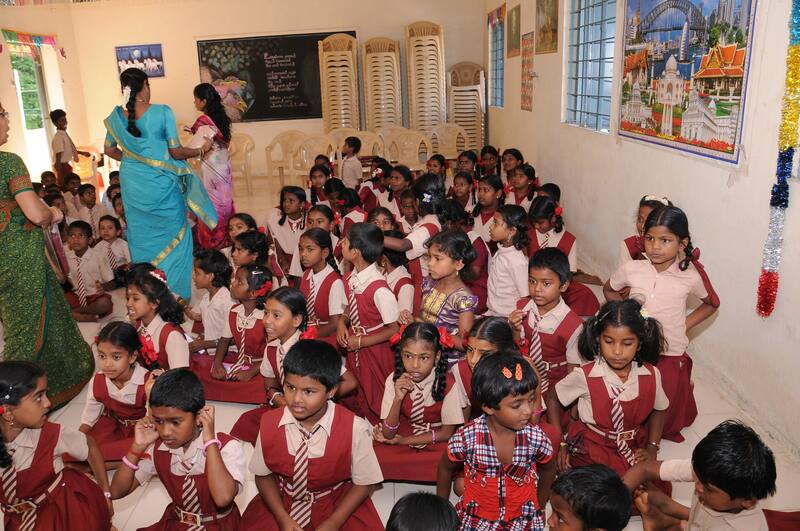 Pure drinking water, well-balanced food, school uniform etc are all provided to the students. 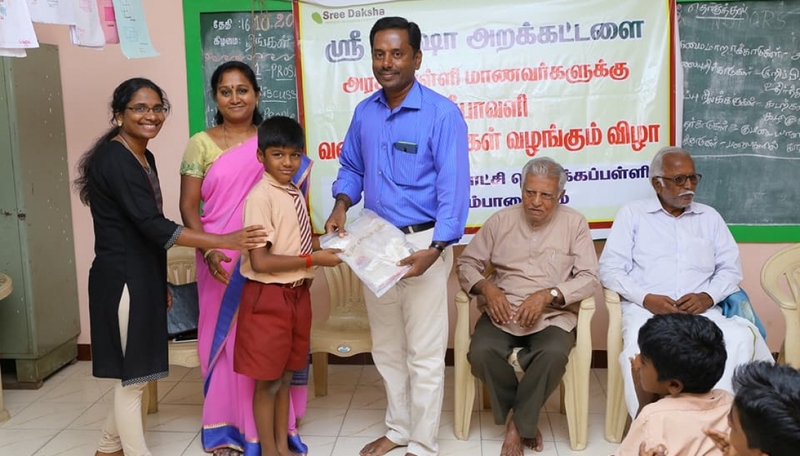 This initiative is in association with Tamil Nadu School Education Department. We will also be setting up a scholarship program for plus two students to pursue their higher studies from institutions of repute. The tiled roofing this school was renovated in 2008 and flooring tiles were fixed for 4 class rooms. In 2010, 4 new class rooms were built as an extension for the existing class rooms. Play instruments were provided for the school children. From 2008 onwards, the company is providing uniforms to all the students. In 2012, round tables and chairs were provided. Also the normal Black Boards were converted into green boards. The damaged toilets were renovated for proper usage. Daily morning biscuits were given to students and light refreshments were provided in the evening. For doing this a female helper is appointed and the salary for her is paid by the company. 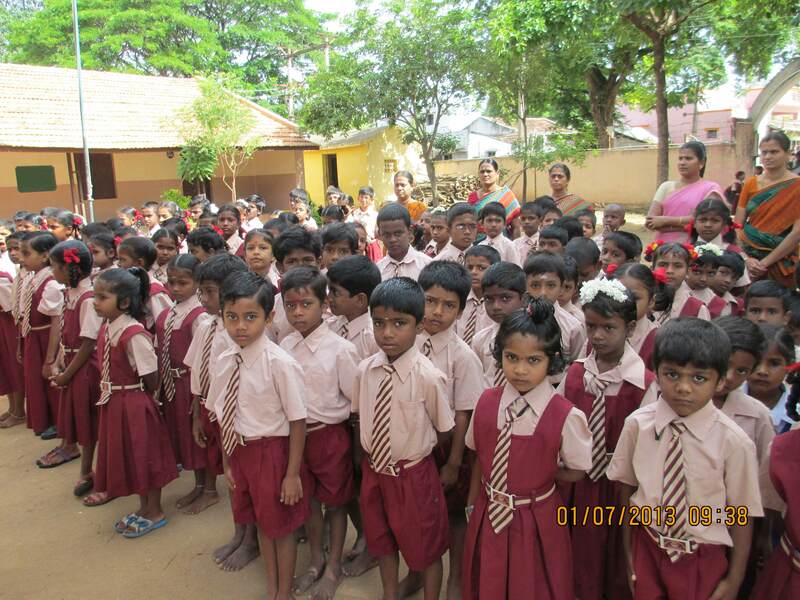 For the poor students, gifts and new clothes are provided every year since 2012. From 2013 onwards, uniforms and belts are provided. All the above were done free of cost by the company. 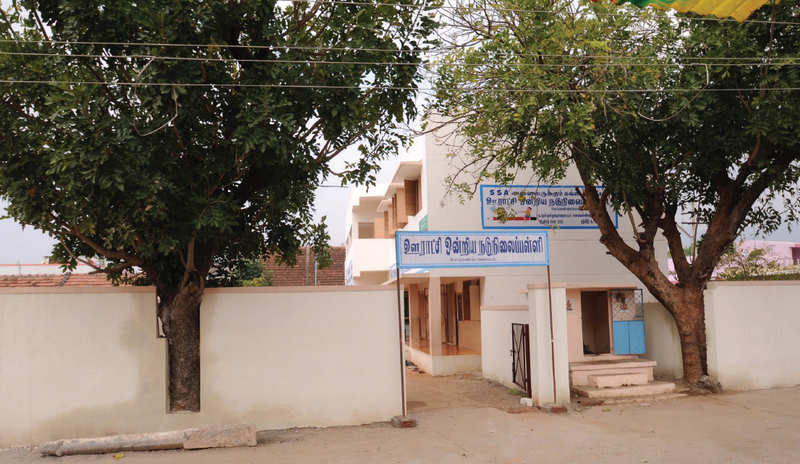 This school was adopted in 2012. At the time of adoption, the old building was seen without any maintenance and the leakage and seepage of water were seen in class rooms. The R.C.C roof was repaired and tiles were fixed in 2 class rooms. New noon meal school building was built and paver blocks were fixed for the entire play ground. Painting was done for the entire school to keep it fit for students to enjoy the uninterrupted daily study at school. Daily biscuits in the morning and light refreshments were provided in the evening. By engaging a lady helper, new clothes during Diwali and uniforms for regular days were provided free of cost. The school rooms are kept clean and tidy for a healthy surrounding. This school was also adopted in 2012. Immediately after adoption tiles were laid for 8 class rooms and the entire school was painted The Company has appointed at its own cost 1 night security and 2 lady helpers for the school. For every Diwali new clothes and uniforms are provided for all the students. This school was also adopted in 2012 along with other schools. The noon meal center building was built by the company. 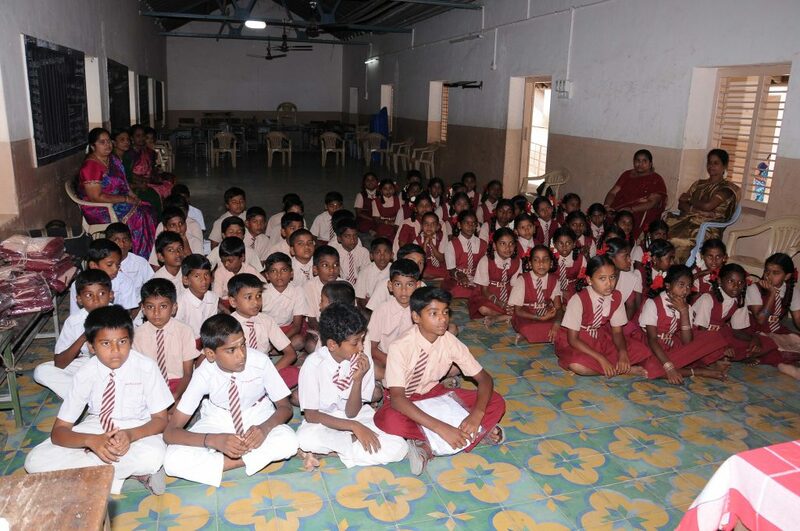 Like other schools, which were adopted, new cloths and uniform were provided for Diwali and regular days. For the Bommanampalayam Anganvadis, the roofing was done. Play instruments were provided. This Anganwadi was accredited as the best Anganwadi center at National level. Also, the children are Anganwadi children provided with new clothes during Diwali and uniform for regular Anganwadi children, biscuits are provided in the morning. All the basic amenities are provided for their benefit. Bottled drinking water are provided to all Anganvadis and schools free of cost. 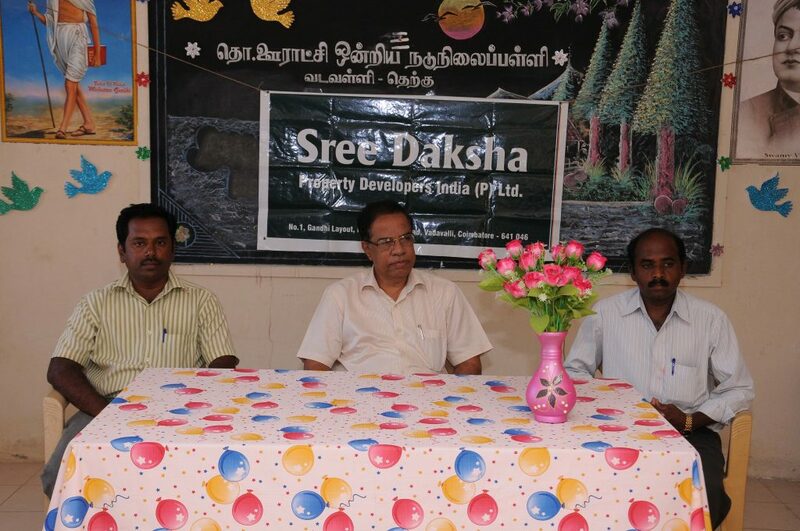 Sree Daksha Property Developers has conducted drawing competition on 25.02.2018. More than 500 kids participated in this competition. 1st Prize won by N.Anupriya, Govt School, Kinathukadavu. 2nd Prize won by Nitheesh kumar, Lisieux Matric.school. Tamil Nadu – 641046. INDIA.